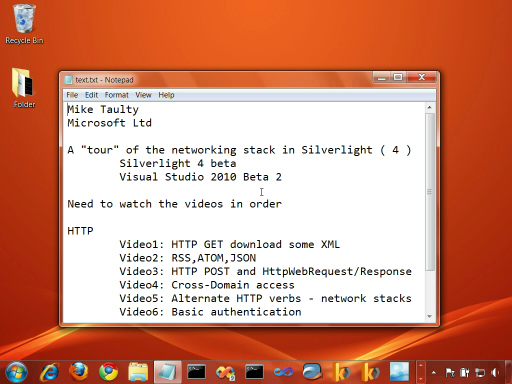 A set of short screencasts providing a "tour" of the network capabilites in the Silverlight 4 beta. 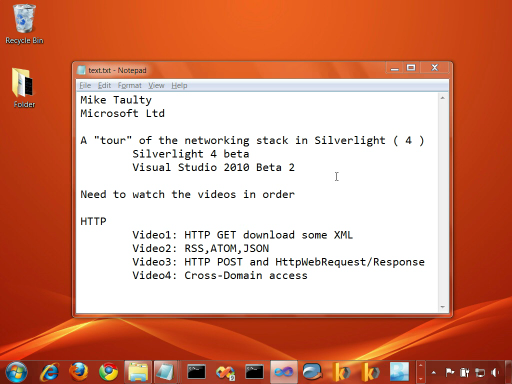 We'll look at raw HTTP access, socket access and WCF capabilities. In this video, we take a look going cross-domain and cross-scheme with our HTTP access.